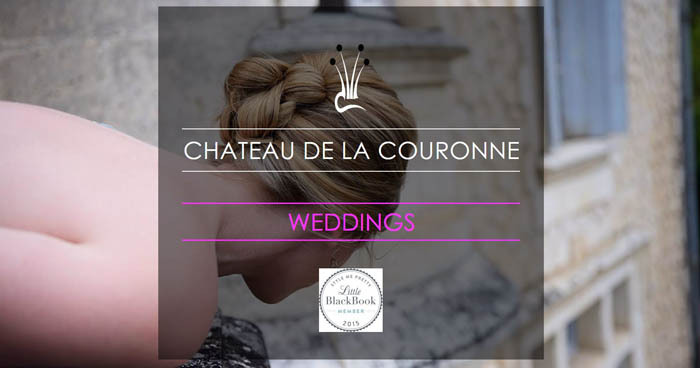 With in-house wedding planning, extensive experience and a list of partners and suppliers who are tried and tested, you can be sure your wedding at Chateau de la Couronne will be everything you want it to be. All our wedding planning is done in-house. 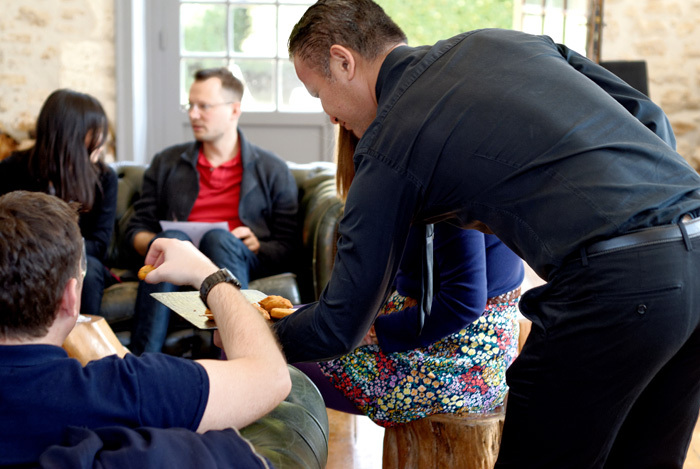 That's right, instead of paying an external planner to co-ordinate your day, we do all that within the Chateau de la Couronne team. Your celebration will be planned to perfection, with a single point of contact, employed by the Chateau, throughout. What's more, the person who plans your wedding will be on-site at the Chateau for the entire period of the wedding to ensure that everything goes to plan. 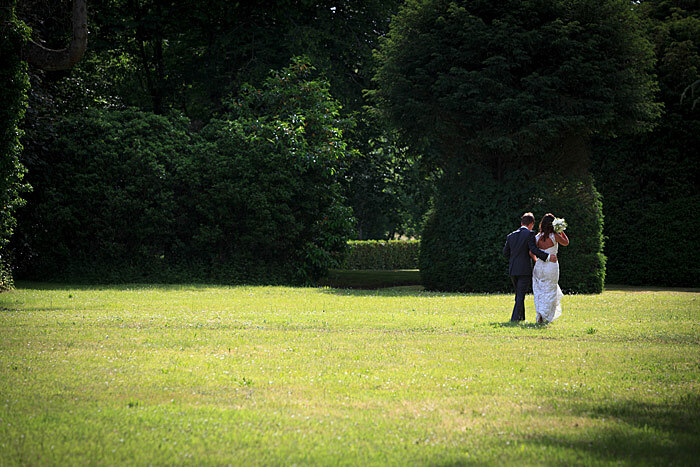 We've been hosting weddings for more than twelve years at the Chateau. We know what we are doing. And we have a thick file of past clients willing to tell you we can be trusted to deliver the perfect wedding day. We are in business to focus on one thing: to put you at the centre of the day. 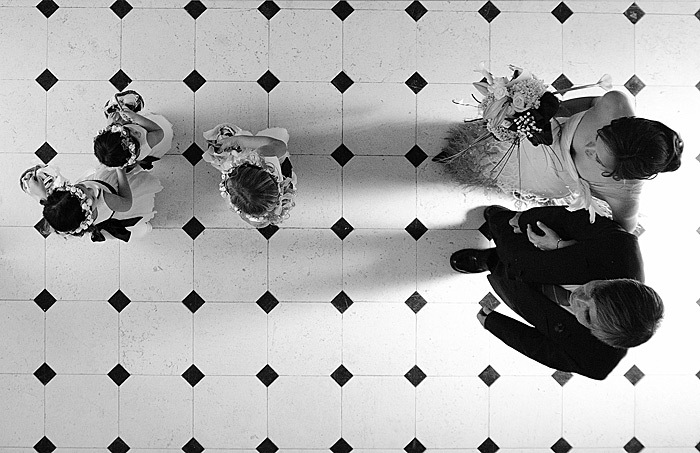 Delivering the wedding you dreamed of is our job. It's why we get testimonials like this: "Mark and Nikki were faultless, combining that rare skill of genuine warmth with an exactitude of professionalism we've rarely experienced before. "Bill B, Saffron Walden, UK (courtesy Trip Advisor). 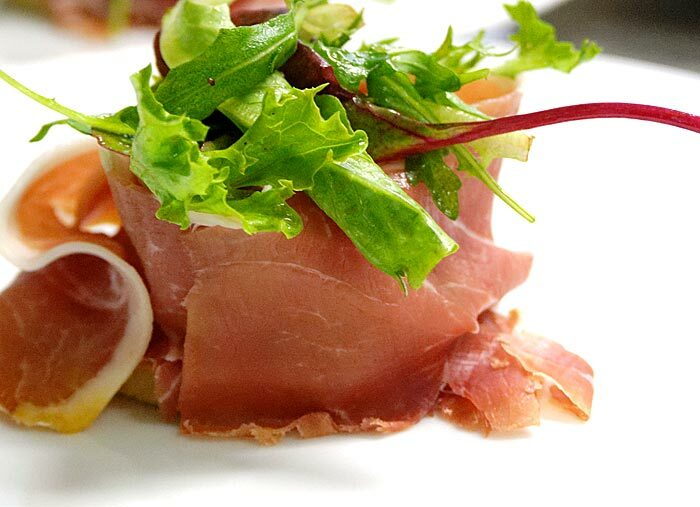 Just because it's a wedding doesn't mean you have to compromise on the quality of food you offer your guests. 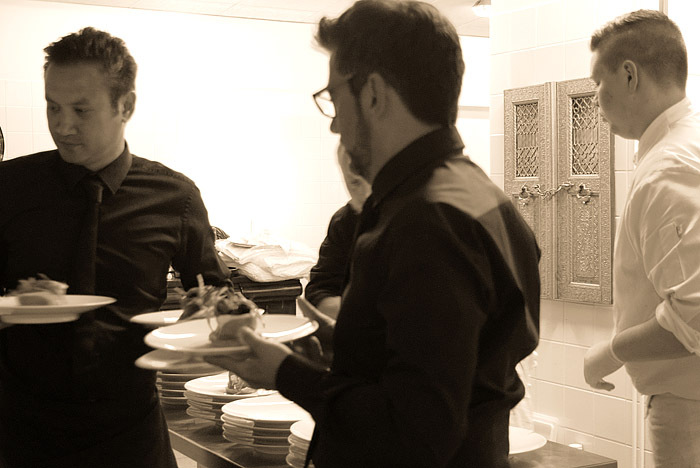 Our wedding catering team are not just "caterers", they are professional French chefs, backed up by trained kitchen and waiting staff, whose only task is to create and serve excellent food. Of course music is important at any wedding. We can source a Pianist to play the baby grand for you, or you can provide your own. If you want recorded music with or without a DJ that's fine. Or you could go for a live band - anything from 60s soul to jazz to folk or a classical quartet. 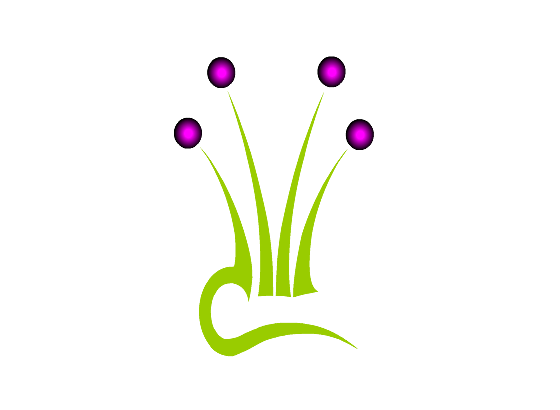 You can click on the image and go to our dedicated weddings website - www.weddings-france.com - or by all means feel free to drop us a line, or phone, and we'll be happy to help. We are fortunate to have a small but exclusive list of highly talented photographers who work with us at the Chateau. 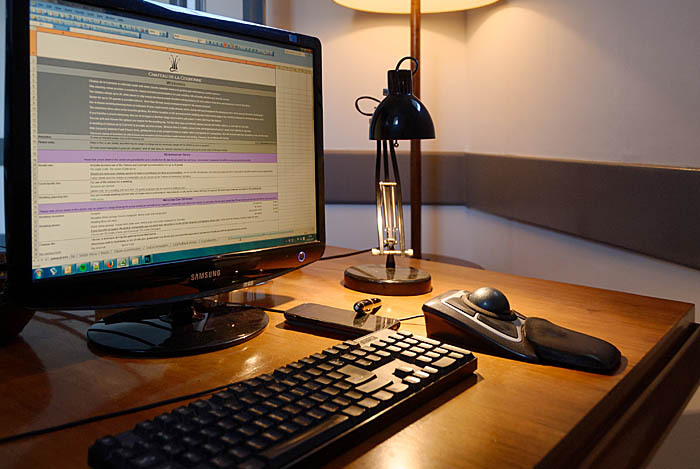 We recommend their work, their professionalism and their creativity unreservedly. It is a huge pleasure to work with them, and we've used many of their shots in these pages and on the dedicated Weddings Website. So thank you David Page, John Armstrong-Millar, Janis Ratnieks and Charley Smith, and thanks also to the wonderful couples who have been married here and have allowed us to use their photos. 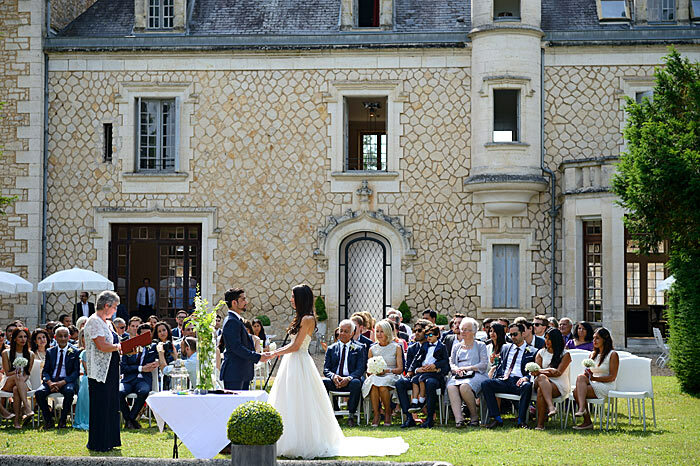 Chateau de la Couronne will provide the most romantic setting for your wedding. A gorgeous blend of ancient stone Chateau, classic ornate décor and cool urban design, the Chateau can accommodate weddings for up to 120 seated diners – more if you want to use marquees in the 5 acres of private grounds. There is room for up to 26 to stay in the Chateau itself - all in the main building - with plenty more accommodation within walking distance, so the Chateau is flexible enough for anything from an intimate celebration to a full-on 100+ guest bash! And with years of experience and hundreds of events and weddings under our belt, you can rest assured that the wedding you want is the one you get. Many guests choose to hold their ceremony in the formal gardens, where the baby grand piano can be used to provide background music to waft across the terrace and lawns. The salons have French doors opening on to the main terrace, beyond which are the formal gardens, lawned and planted with mature trees and shrubs. They provide a lovely relaxed space where, after the ceremony, guests can drift in and outdoors, sit under one of the parasols on the terrace, lounge or play on the lawns, or kick back in one of the salons as we serve canapes and champagne. 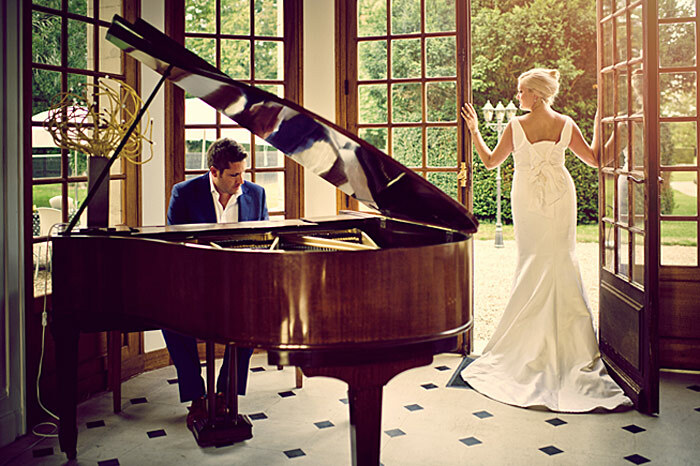 More intimate ceremonies can be held in the Piano Salon if you prefer. With its wide French doors open, framing the gardens beyond and forming a gorgeous, verdant backdrop, it is a venue with charm to spare. Who conducts the ceremony is entirely up to you. We have our own Humanist Celebrants who will talk with you beforehand to ensure that they provide a meaningful and personal ceremony. 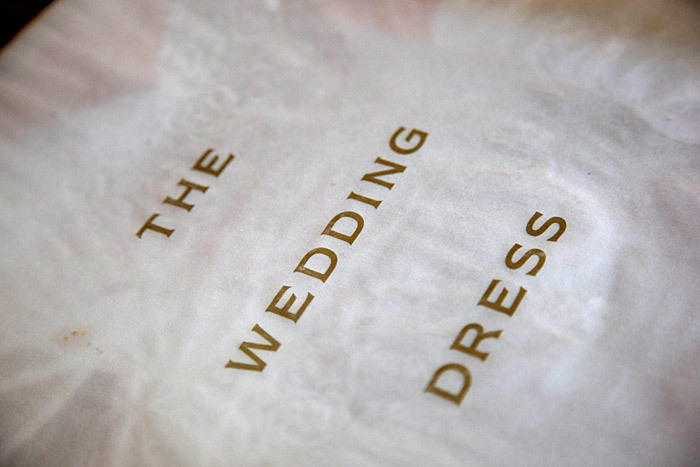 If you prefer, a friend or family member can conduct the ceremony, or indeed, your own celebrant. 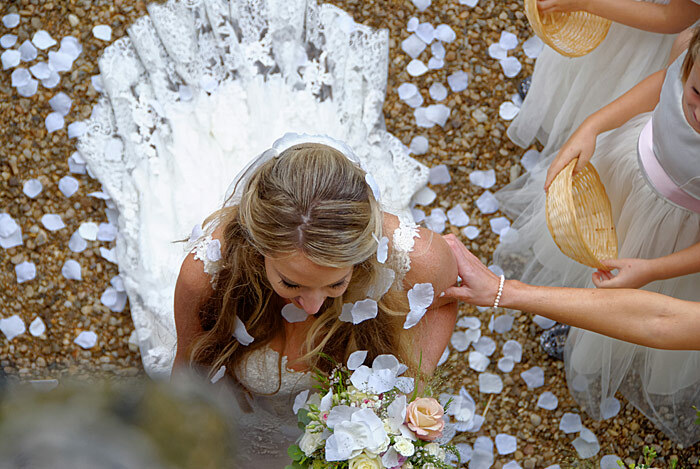 Whichever you decide, we will make sure that we adapt and tailor the ceremony to suit.